You'll be £12.99 closer to your next £10.00 credit when you purchase Barnsley & Beyond. What's this? This book is about much more than one town in what was once called the West Riding of Yorkshire. Barnsley is simply the base from which Mel Dyke began a journey round the world to meet people whose success and high achievement are linked to the area. Many of the diverse personalities she interviewed cite their own educational experience as their inspiration. Others felt it was despite that, and early under-achievement or a poor educational start instead spurred them on. Mel uses their anecdotal accounts to reflect on the changes in education over the past sixty years, and to put the case for a revival of the arts in teaching, which she argues is currently at risk of being lost in schools, despite being generally accepted as a vital element in education. She unearths some intriguing local links in the form of great positive role models ranging from education to economics, Coronation Street to Ready Steady Cook, pop music to ‘soliciting, sculpture to poetry, international fashion design and hairdressing, burns surgery to fire-fighting, archaeology in Egypt to Christianity in China. World champions in music and sport join past and present figures whose achievements continue to show the influence the area has had historically, and continues to have worldwide. The book’s unlikely start is Sir David Attenborough, it closes with an Australian of the Year. Perceptive pen portraits of some fascinating characters etched in a sharp and deliberately provocative style, will inform, entertain - and rattle more than the odd sabre! 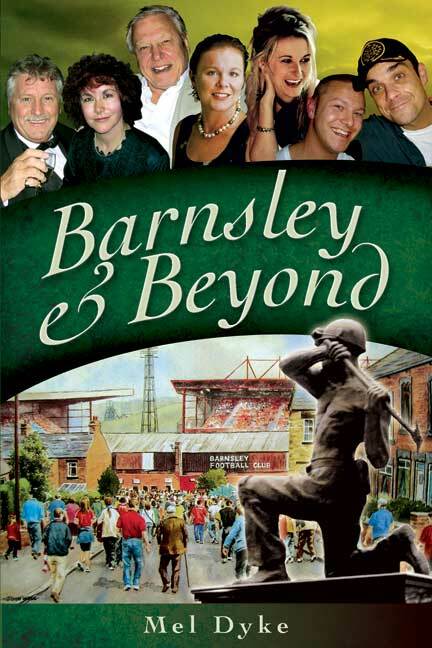 All for Barnsley - published by Pen and Sword 2003. The Bus to Barnsley Market co-editor (with Ian Clayton and Brain Lewis ) published by Yorkshire Arts Circus 1989. The Grimethorpe 'Book in a Day' was Mel's project to offer a coal community's response to the Government's pit closure policy, published by Willowgarth High School and Yorkshire Arts Circus 1992.